I spent the weekend in Chicago, also known as the Windy City. I brought Dorian along with me to attend my older brother David’s wedding. Dorian had never been to Chicago before, so we explored the city like tourists. We got a hotel right in the middle of downtown. It was called the Mile North Hotel. The hotel was absolutely beautiful. The décor was urban and contemporary. There were ballrooms, lounges, and restaurant’s on the main floor. We took advantage of the rooftop bar called 52Eighty. It had the most amazing view of the Chicago skyline. 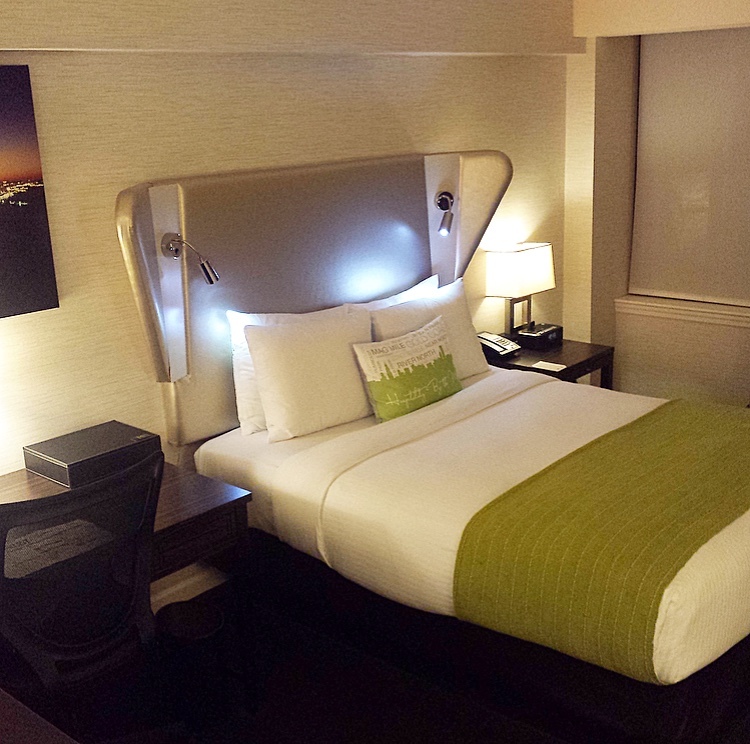 What I liked most about the the hotel was that it was within walking distance of everything downtown. We went to the Willis Tower, which used to be called the Sears Tower. It is a 108-story skyscraper right in the middle of downtown. 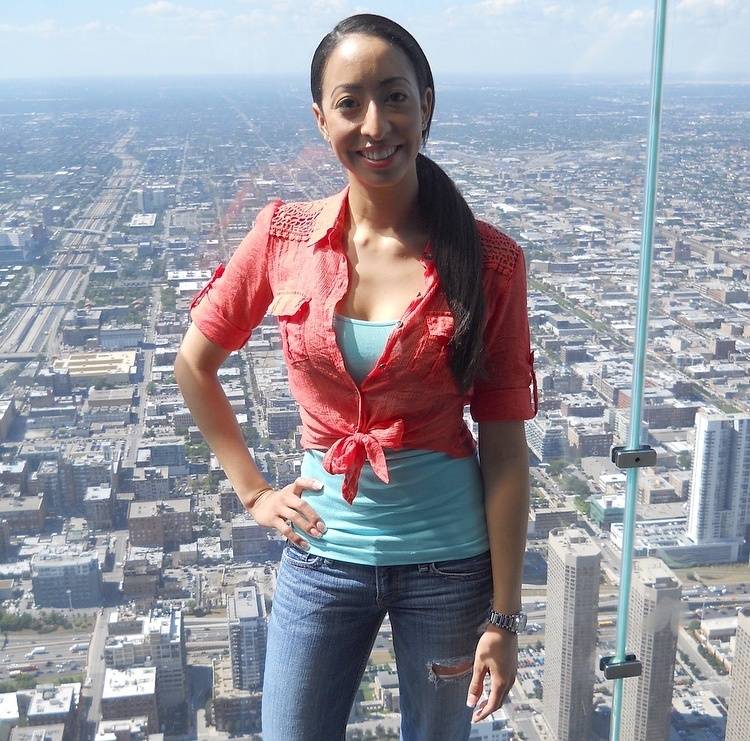 The Willis Tower had a feature called the Skydeck. Where you could step out onto a glass balcony that extended four feet outside of the 103rd floor. You could look through the glass floor and see the street underneath you. 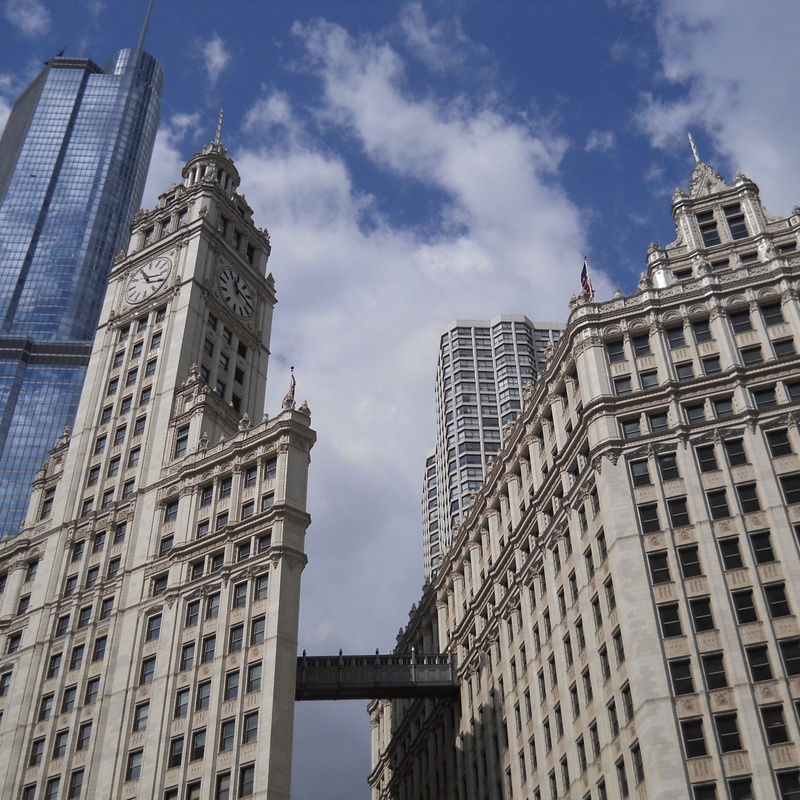 For more on the Willis Tower, see this post. If you read about my trip to Canada, the CN Tower had a similar feature. We spent one afternoon in Millennium Park. We walked through the Jay Pritzker Pavilion and the Lurie Garden. Then we took a break and enjoyed a drink at one of the outdoor restaurants. Afterwards, we went to the famous Cloud Gate, that has been featured in numerous movies. 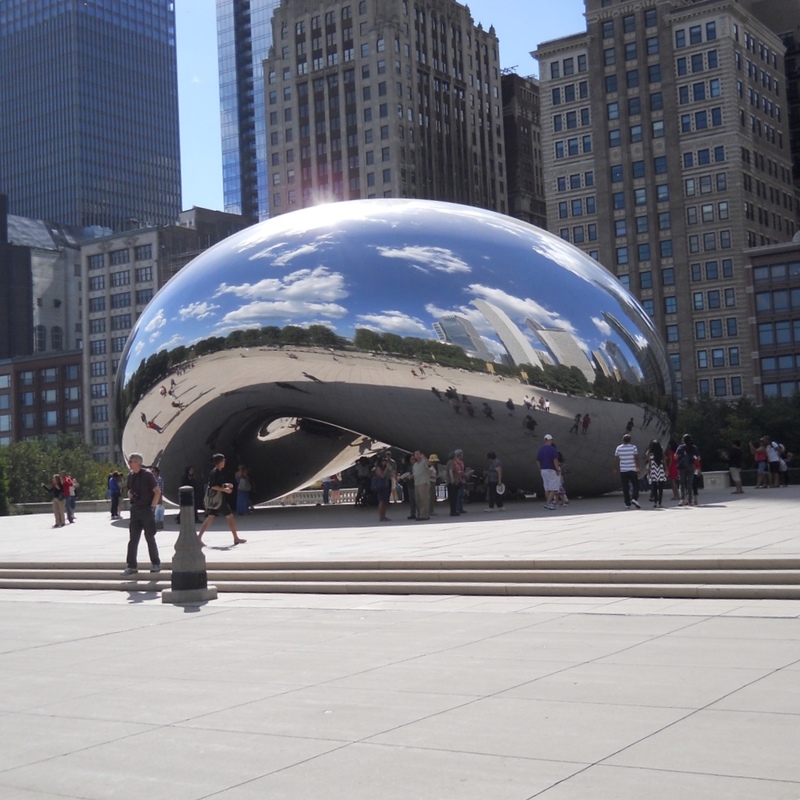 It is nicknamed the bean for it’s shape, it looks like a giant silver bean. Before we left we watched children play in the Crown Fountain. For more on Millennium Park check out this post. We took a tour on one of those double decker buses. Where you could hop on and off at different sites downtown. It stopped at a gift shop where we got a free t-shirt. I would definitely check it out if you are visiting Chicago for the first time. You get to learn about the history of the city as well as get an idea of where everything is. I had not seen my brother David, whose wedding we were attending in years. However, as we’ve gotten older and through social media we have been able to keep in touch. 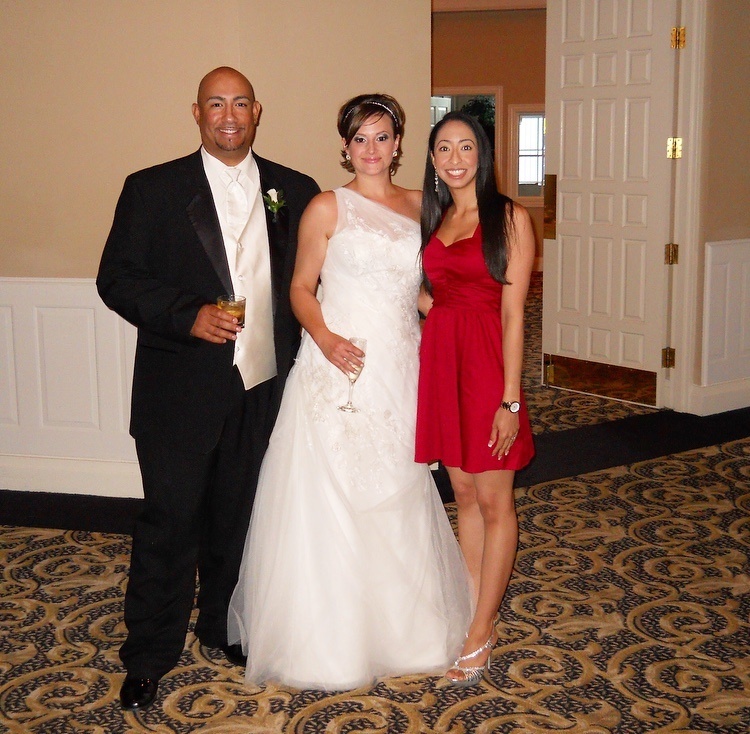 I was extremely grateful to have had the opportunity to attend his wedding. It was absolutely beautiful. Congratulation’s to David and Kristen, I wish you both love and happiness as you begin your new lives together. Overall, it was a great weekend, very fun and eventful. I will definitely be back to visit soon. I hope you enjoyed reading this blog post. If you have any questions please comment down below. Loved reading about your experience. Lovely photos too. Thanks so much for sharing. ?